The other day while window-shopping in the seafood section of Whole Foods, I saw a beautiful piece of fish that I just could not pass up. I came home and scoured around for a recipe, and I came across one that came from Real Simple Magazine. I was thrilled because I had the ingredients on hand and I didn’t even have to go to the store! Portion the fish. In a small bowl stir together the mustard, capers, tarragon, and 2 tbsp olive oil. Add 2 tbsp water and stir. Coat a frying pan with the oil of your choice. (Choose bacon.) 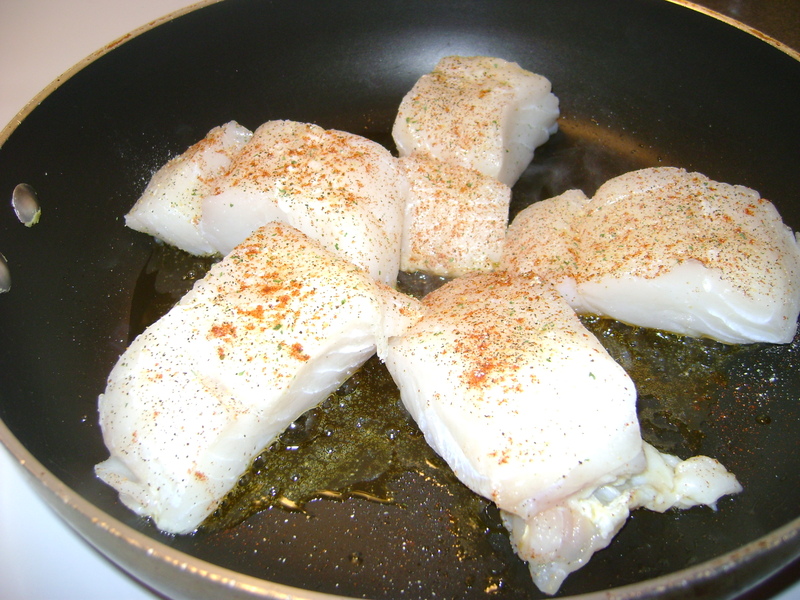 Season the cod with salt/pepper/paprika. 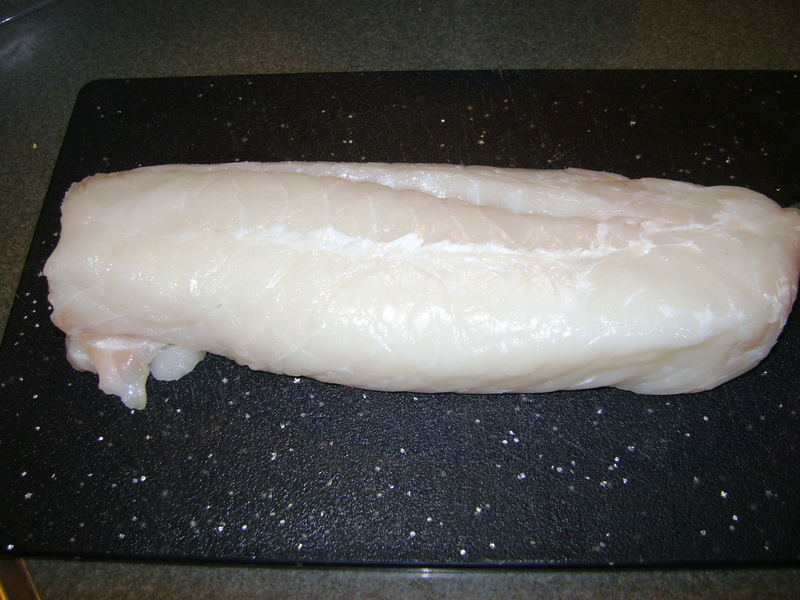 Bring pan to medium high heat and cook the cod until opaque. The amount of time the fish needs in the pan completely depends on its size and shape. This was a very thick piece of meat, and at this size it took me about 6-7 minutes per side. Plate the cod with your favorite veggies as a side. Spoon the mustard-caper sauce over the fish. It is really tasty, and I especially loved the texture of the grainy mustard against the buttery fish. **I also have had success baking the cod loins. Nom! I am so trying this: previously I have always been about the salmon or tuna, but have been trying to make myself eat more white fish because it is a nicer vehicle for other flavors – saving this recipe for sure!! Sweet. 🙂 This was really tangy and delicious. Let us know how it turns out. You have an awesome blog. I also just love eating clean with no gimmicks, rules, etc. Just real food, delicious and nourishing. I hope you continue to enjoy your experience! can you make this next week? looks so good! yes we will go to WF on our way home from GSP. can’t wait!